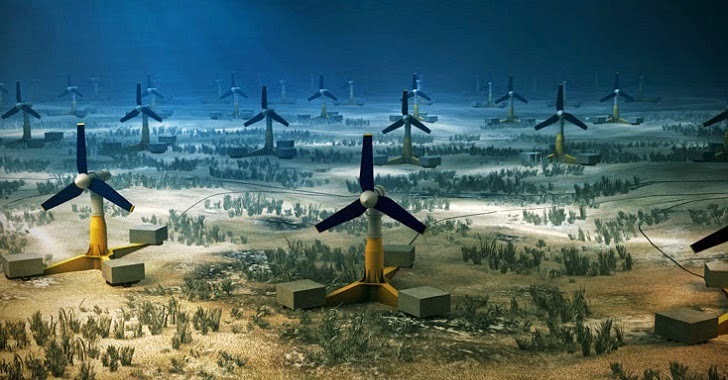 Ocean Tidal Power Plant - Great Idea! Funding has just been secured to break ground on the world’s largest ocean current-driven power plant on the shores of Scotland. The plant is expected to supply the electrical needs of 175,000 homes once completed, with the initial delivery of electricity expected by 2016. The first phase of the project will include 61 tidal turbines which will supply Scotland with enough power for 42,000 families. Eventually there could be as many as 269 water turbines installed on the array, creating 398 megawatts of electricity. $83 million has been raised to start the first phase of the power plant. Scotland has a goal of being completely off of fossil fuels by 2020, and this projects puts them on the path to meet that ambitious target. Read more. Why does Indiana need another Natural Gas Power Plant? The density is already plenty. Why does Ohio need anymore power plants with this density? How Far Can Electricity Be Transported?